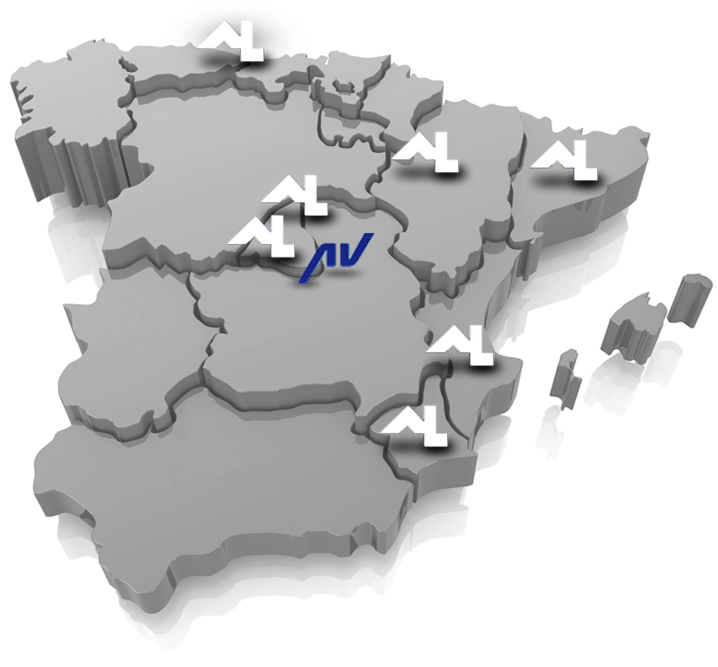 Alugom Group has an ever-expanding sales network that extends throughout Spain. From our warehouses strategically located across the Peninsula, we can meet any market demand. We have seven branch offices whose goal is to offer our clients the highest quality customer-friendly service. TELL US WHAT YOU NEED AND WE WILL SUGGEST THE IDEAL PRODUCT. CONTACT YOUR NEAREST BRANCH OFFICE. In addition, Alugom Group has the advantage of having its own industrial division run through the company AV ALUMITRAN, S.L., which is one of the five largest domestic companies in the business of aluminium extrusion and surface treatment. The integration within our value chain allows our systems to be adjusted and tested during the design and development stage. In addition, it allows us to guarantee the quality and durability of both the mechanical and technical characteristics of the aluminium surface treatment applied to it. Lastly, we ensure the immediate and constant supply to our distributing warehouses, thereby reducing handoff times to our clients, responsible for manufacturing the end product to be installed in the buildings.